In addition to my fondness for ridiculously crappy design, I also enjoy art that celebrates absurdity. On several websites, I've seen links to this amusing Tumblr blog. 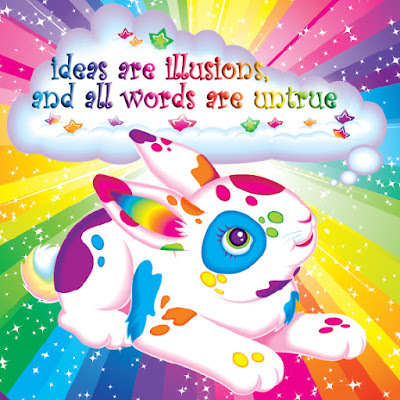 It features images that combine the rainbow colors & cutesy animals seen on artwork by "rainbow-gulag" founder Lisa Frank- with nihilistic quotes that reflect despair, emptiness, and a sense of existential crisis. 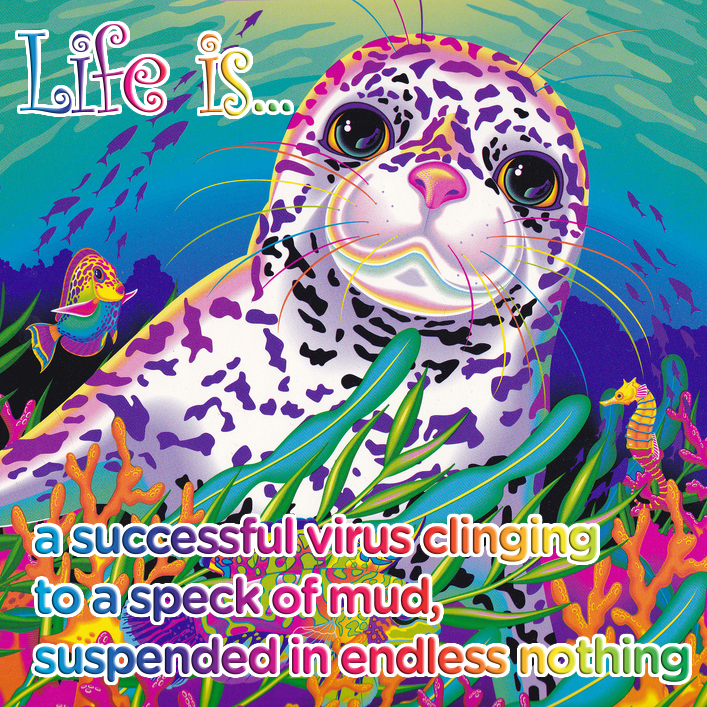 It's a great mashup of contrasting elements, on par with Nietzsche Family Circus. Look upon these images, and feel the sense of a happy, bright brand of nihilism.